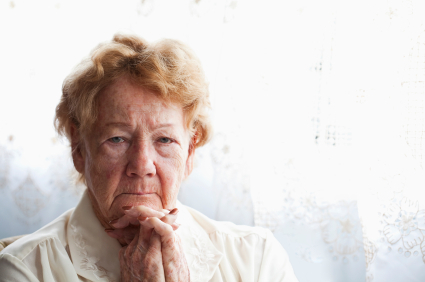 There is no question that bereavement and loss take a toll on a person’s mental well -being. Countless resources exist to help families and individuals cope with the emotional ramifications death, including grief counseling, support groups, and books. These kinds of options are vital for the newly bereaved, and exist to help others begin moving through their grief. However, as important as it is to address the emotional effects of bereavement, it is equally necessary to consider the physical side effects. It’s not uncommon for people to become physically ill or weakened in the days and weeks following the death of a loved one, and if unaddressed, these kinds of symptoms can lead to bigger problems. Many of these symptoms will go away as you adjust to your loss. Others might continue worsening and require medical intervention. It’s important to remember that these are real symptoms—even if they arise from emotional distress—and your health is of the utmost importance during this time. Although there are few remedies better than time and emotional or spiritual healing, you can take a few measures to ensure your health as you go through funeral planning and begin the grieving process. Drink plenty of water and eat regular, healthy meals. Crying can take a real toll on your body’s balance of nutrients and fluids. Although eating and drinking might seem overwhelming, take the time to give your body the strength it needs. Sleep when you can. Although few people can go back to a normal sleep pattern right after a death occurs in the family, don’t overlook the importance of rest. If possible, sleep at least eight hours without a sleeping aid. If this isn’t something you can manage, talk with your doctor to discuss options. Get some exercise. It won’t benefit you physically (or emotionally) to cocoon yourself at home with your grief. Take a daily walk around the neighborhood, visit a park that was a favorite of the deceased, or even take an exercise class that will get your mind off the deceased, if only for a short while. Your health is important, even if it feels as though you can’t even get off the couch. Above all else, don’t be afraid to ask for help. Grief takes on a different format for everyone, and if your symptoms manifest in your body, there are options and resources to help you get back on your feet.